1) No Message On Lock Screen 2) Dpi Error-Changing Size Display To Small, After Some Time it Changes to Default, Mainy Can Be Seen In Power Menu. 2) Dpi Error-Changing Size Display To Small, After Some Time it Changes to Default, Mainy Can Be Seen In Power Menu. 3) In Quick Setting Panel, Tiles With Double Line Font (Name & Description). 4) In Landscape Mode Cannot use Recent App Scroll Gesture. 5) Dosen't Shows Lockscreen Message On Ambient Display. 6) Some times Opening App Drawer From App Directly Shows Some Frame Drop And App Drawer Dosen't Open At Once. 7) Change Home Screen Google Search Bar Cause It Is Directly Intregrated From Google App, & Add Google Search Bar In App Drawer Cause It Runies Google Material Design 2, Plus Change Voice Search In Bar To Google Assistant. 8) Cannot Copy Text Are Image From Recent Screen. 9) Google Feed Dosen't Changes It's Background Colour To Dark If Dark Theme Is Applied While It's Present In Pixel Device. 10) Still Shows Default Launcher As Quick Setup Instead Of Pixel Launcher. I Know That Some Of You Will Tell That Pixel Launcher Is Only For Google Device, No But It's Not It Also On Android One Phones. HMD Should Create Separate Page To Report Bugs And Features Missing. Last Check On October Update. And Humble Request To HMD Don't Ignore This Types Of Post On Fourms. It's One Of The Best Way To Give Request. 7) Camera Not UI not similar as Gcam. Double tap to wake mean to wake up the device and not to show ambient display. Camera UI not similar as GCam 😐 because it's Nokia's camera app. If you want GCam just download pixel 3xl camera mod. Stock android doesn't mean that it will provide GCam to you. 1) No Message On Lock Screen 2) Dpi Error-Changing Size Display To Small, After Some Time it Changes to Default, Mainy Can Be Seen In Power Menu. 3) In Quick Setting Panel, Tiles With Double Line Font (Name & Description). 4) In Landscape Mode Cannot use Recent App Scroll Gesture. 5) Dosen't Shows Lockscreen Message On Ambient Display. 6) Some times Opening App Drawer From App Directly Shows Some Frame Drop And App Drawer Dosen't Open At Once. 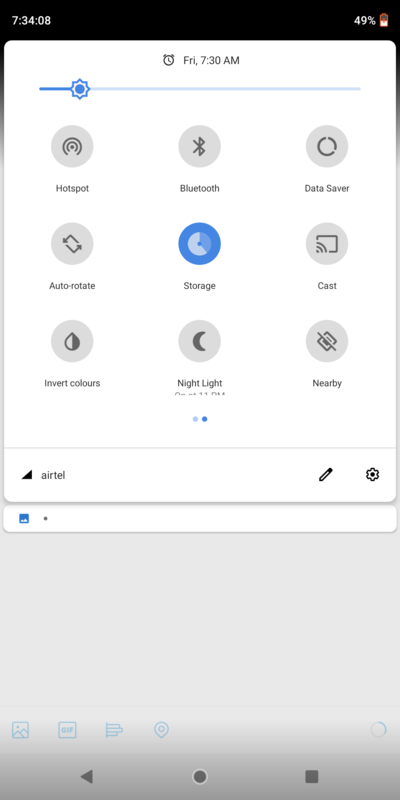 7) Change Home Screen Google Search Bar Cause It Is Directly Intregrated From Google App, & Add Google Search Bar In App Drawer Cause It Runies Google Material Design 2, Plus Change Voice Search In Bar To Google Assistant. 8) Cannot Copy Text Are Image From Recent Screen. 9) Google Feed Dosen't Changes It's Background Colour To Dark If Dark Theme Is Applied While It's Present In Pixel Device. 10) Still Shows Default Launcher As Quick Setup Instead Of Pixel Launcher. I Know That Some Of You Will Tell That Pixel Launcher Is Only For Google Device, No But It's Not It Also On Android One Phones. HMD Should Create Separate Page To Report Bugs And Features Missing. Last Check On October Update. And Humble Request To HMD Don't Ignore This Types Of Post On Fourms. It's One Of The Best Way To Give Request. 5th) it's lame as it's lockscreen message & not ambient screen message. 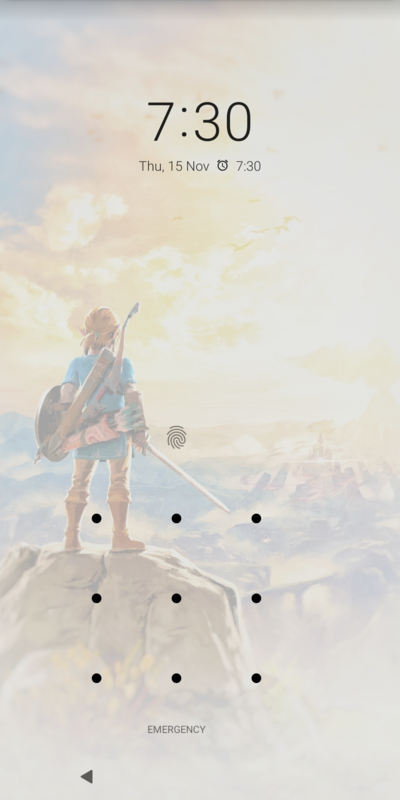 It's supposed to be displayed on lockscreen. In Pixel devices in off screen double tap is use then it will directly go to ambien display not to lock screen according to that Nokia phones also should have same features. In 4th one I am trying to say that if you are in landscape mode then in gesture only you can go to app drawer or you can directly minimize the app(Home action) but you cannot switch between recents apps or even you can't scroll between all apps by slide gesture. And yes screen flickering issue is there. But screenshot editor of pie is limited to pixel device and I didn't saw any battery issue I am able to get almost 8-9 hours in single charge with continuous usage on 4G. Stop using 3rd party, custom launchers, especially when they're designed for propetiary (pixel) phones. The specs, resolution could be different, meaning you will see bugs. Just to ask, did You perform hard reset after pie update? The most annoying issue to me is the proximity sensor issue. Sometimes it stopped working, reboot do fix that issue. Well it was not there in 8.1 but from the first day of 9.0 started facing this issue. In my opinion the 9.0 Pie firmware is just a beta version issued as a stable version. It was my hope that firmware will get better in time (as the Android 8 firmware was getting better), but I am starting to loose my patience. It seems more likely now, that HMD's priority is on hardware with little or no emphasis on the software (even though they advertise regular updates and Android One as a selling point). @kronos1 .. If upgrading software needs a hard reset every time it means the upgrade experience not smooth & has bugs which needs to be fixed. Just found another bug. ... As i use SwiftKey as default keyboard disabling others... And under keyboard the nav bar remains white.... While u need to enable google keyboard with dark theme again... Only then disabling Google keyboard to get dark navbar under SwiftKey ... Annoying! ! Hard reset is mandatory after going to Pie from Oreo! I agree. HMD shouldn't release a new phone every week, but focus more on already released ones a bit more. Of course custom launchers make a difference. Especially when they're designed for one specific phone and you try to use it on sonething else. 2) Ram management of oreo was better than 25k phones like oppo f9 pro nova 3i poco f1 honor play ..but now it not even cimparable to 4 GB varient of Asus M1 bcoz of this Memory management i bought this phone but now its worst. 4) Phone heats alot seriously it is some what damaging the battery life cycle whether you are play game charging your phone or using the camera..The phone is warm that it can be felt after touching it from the backcover also. Phone gets freezed after clearing cache memory in settings. Takes approximately 3-5 minutes to recover. 22nd Nov but no November patch and bug fix update plz HMD be on time. i was using my phone to check my facebook and it suddenly freezes (has been been glitching since the pie update) then i pressed the power button to lock as it usually works. but when i pressed the power button to unlock device it refuses to come on... but it (the screen) is dimly lit so you could tell it's still on. I tried holding down the power button to restart or forcibly turn it off, doesn't work. I tied hard reset to no avail. so i tried calling my line but it doesn't ring out or light up the screen but its ringing on the other end. I NEED HELP!!!!! Press volume up & power button simultaneously until it vibrates for a soft reset.